With cross-selling opportunities aplenty, Rockwell Collins estimates completion of its planned friendly takeover of aircraft interiors specialist B/E Aerospace will result in it winning at least $50 million of additional revenue on every mainline buyer furnished equipment (BFE) selection or aircraft fleet selection in which its products are installed, and it winning $200,000 to $1 million of additional business on every business jet. In a recent conference call with financial analysts, Rockwell Collins chairman, president and CEO Kelly Ortberg said that in terms of revenues, the B/E Aerospace acquisition his company announced last week would triple Rockwell Collins’ product content on next-generation widebodies such as Boeing 787s and Airbus A350 XWBs. The acquisition, which Rockwell Collins expects to close in the spring of 2017 after it and B/E have obtained required regulatory approvals for the deal from all the national jurisdictions in which they do business (China probably being “the long pole in the tent” in this regard), also “will nearly double our position in narrowbodies”, said Ortberg. Rockwell Collins reckons its takeover of B/E will save the combined companies’ operations $160 million a year in gross costs and $125 million annually after tax. Savings will come in five areas: closing B/E Aerospace’s headquarters, cutting out the areas of overlap between their supply-chain needs, consolidating the two companies’ IT systems, rationalizing their sales and customer-support forces, and moving more engineering and manufacturing operations to countries with lower labor costs. Ortberg said Rockwell Collins probably will grow its activities in Hyderabad in India, because both companies have design and engineering centers there. However, Rockwell Collins hasn’t yet quantified what it reckons will be the “significant revenue upside” B/E will bring, said Ortberg. Much of this will come from the fact that, while most of Rockwell Collins’ avionics and aircraft systems business is one-time-only per aircraft, B/E – in addition to its new-aircraft wins – brings a $12 billion base of already-installed interiors products and much of this base will see replacement during aircraft’s lives. This and the fact each of the two companies has airline customers the other doesn’t will create “probably a $50 million-plus opportunity per major BFE selection or aircraft selection” for increasing Rockwell Collins’ revenues from commercial jets, said Ortberg. “If we pick up three to five airline customers per year” through owning B/E Aerospace, “that will give you a good way to think” about the new sales opportunities B/E offers Rockwell Collins. 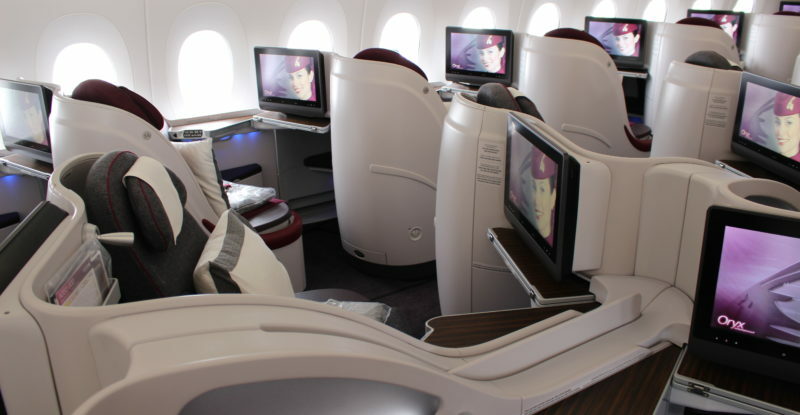 When you consider that Super First Class suites alone can cost several hundred thousand dollars or more, it’s easy to see how Rockwell Collins arrives at these numbers. Adding to its future interiors-business opportunities in both the aftermarket and new-production markets is the fact Rockwell Collins already has significant experience in providing connectivity and e-enabled systems in commercial aircraft. “There is no question that what we do has more software than what B/E Aerospace does now, but it’s a great opportunity for us,” said Ortberg. “Everything’s going to be a smart device over time. If you look five or six years ahead, there will be embedded sensors, controls, Wi-Fi interfaces and secure networks all through the aircraft. Rockwell Collins brings that to B/E.” (It’s not yet clear if Rockwell Collins will re-enter the embedded IFE market for widebody aircraft; its PAVES seat-centric solution is targeted at narrowbodies). The IoT of interiors may increase the barriers to market entry for other would-be interiors-market participants which don’t have the requisite connectivity and advanced-sensors technology Rockwell Collins already possesses and to which its new aircraft-interiors business will have access, Ortberg remarked. Meanwhile, though each individual business jet offers Rockwell Collins a much smaller revenue-enhancement opportunity as a result of its B/E Aerospace acquisition, Ortberg pointed out there are more than 20,000 bizjets flying and on order, many of which have Rockwell Collins avionics installed. So the additional-business opportunity for B/E is enormous. Rockwell Collins sees bizjet seating and cabin lighting installations as being the biggest sales opportunities for B/E in that market. Ortberg revealed Rockwell Collins decided to bid for B/E Aerospace after completing a multi-year strategic review which focused on increasing the company’s revenue opportunities. This review concluded Rockwell Collins should expand its product-line capabilities in its current business channels rather than attempt to develop new markets. “B/E Aerospace solidifies our position as a leading supplier of cockpit and cabin solutions,” remarked Ortberg. “B/E Aerospace has a reputation for quality and on-time performance and B/E has a highly visible, high-quality, multi-year backlog.” Noting that Rockwell Collins had “done deep due diligence on B/E,” he said B/E’s backlog was “very robust” and this will be a major strength at a key time in Rockwell Collins’ evolution. 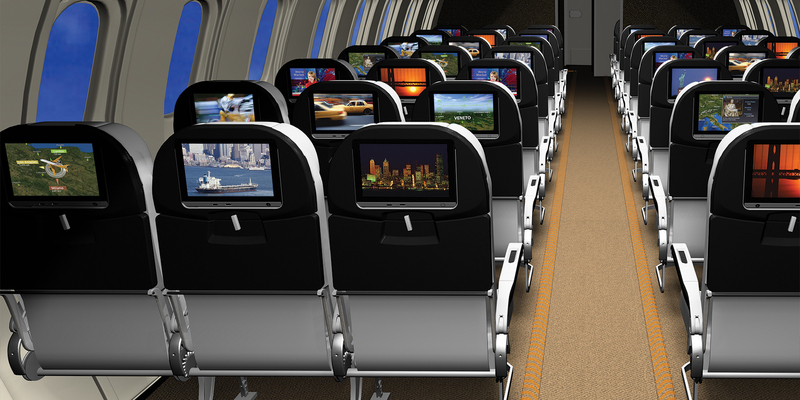 The interiors company’s existing customer base is 80 percent airline, 20 percent aircraft OEM. The linefit market represents 60 percent of B/E’s business and aftermarket retrofits 40 percent. Commercial-aircraft work accounts for 77 percent of B/E’s revenues and business jets 23 percent. More important is that Rockwell Collins’ and B/E Aerospace’s product lines and service offerings are complementary and that, while government contracts represent the largest single segment in Rockwell Collins’ existing business, B/E Aerospace’s largest business segment by far is commercial aviation, said Ortberg. 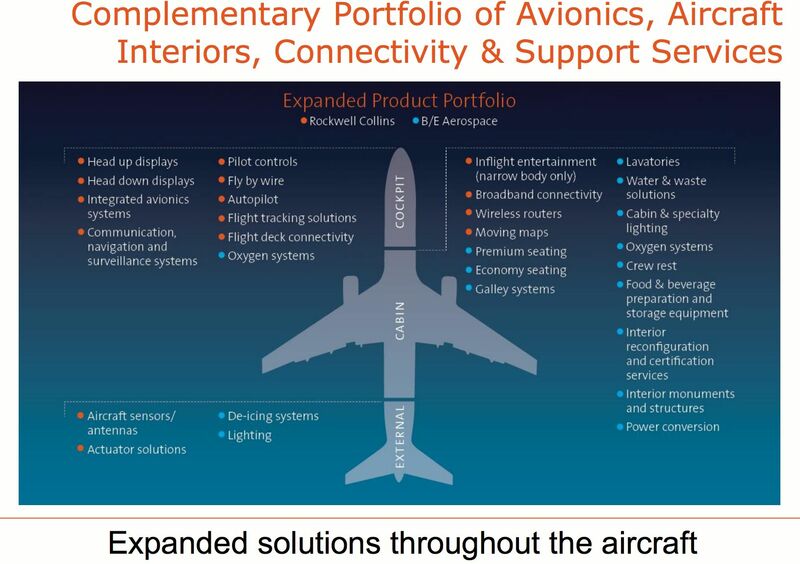 These key differences will both strengthen and diversify the mix of Rockwell Collins’ aftermarket work and will balance its spread of international customers – which represent about two-thirds of Rockwell Collins’ business now – and of US customers to the point where both sectors are almost equal for the company.